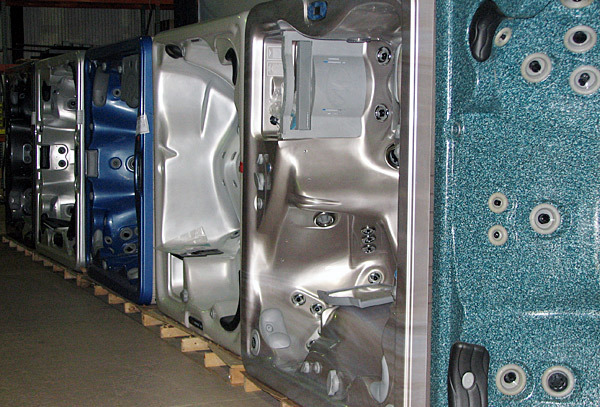 Spas or hot tubs come in many shapes, sizes, colors, materials of construction, and textures. They are classified as in-ground or portable. In-ground spas can be produced from Gunite® and be part of a swimming pool, or they can be constructed from the same materials as a portable spa. Portable spas are self-contained and only need to be connected to electricity and/or natural gas. Water is added manually. Multi-Tech does not provide repair materials for Gunite® but do provide materials satisfactory for all other surface types. More information on these surfaces are included below. Potential repair situations, which can be accomplished with our Quick-Glaze, Granite, or MMA systems and procedures, include chips, scratches, cracks, crazing, blisters. These systems are designed to refurbish surface defects. If spa structural repair is needed, please refer to that area of procedures and materials. Please refer to the specific procedure for details to help proper selection of the system. Generally, our recommendation is to choose the best products for spa repair. That includes the special acrylic filler and K2000 clear topcoat. The lower cost, but improved version of a Poly-Filler should only be used in spa surface areas where it will never contact water (e.g. outer lip or rim). Multi-Tech Products repair materials do not work on rotation molded polyethylene or polypropylene spa surfaces.